November 5, ROFE PARK We will be playing at the Cancer Council's RELAY FOR LIFE from 9-10 pm. It is for a great cause, and should be a fun night. Contact relayforlife.org.au for more details. December 6th, Rofe Park Christmas Spectacular! November 22, 8:30 Asquith Bowling Club - Album Launch! May 17, 8:00 Hornsby Inn- Featuring some original material, and a new band member! February 8, 8:30 Hornsby Inn- Starting off the school year with a bang! November 30, 8:30 pm Hornsby Inn - quickly becoming our home base! October 26, 8:00 Hornsby Inn - Back at the Inn for another great night. Hope to see you there! September 14, 7:00 pm Hornsby Heights Primary School Fundraiser. Have a good time, and raise money for the local primary school- everybody wins! August 3, 8:30 PM Hornsby Inn- Finally, a Saturday Night Headlining Gig!! 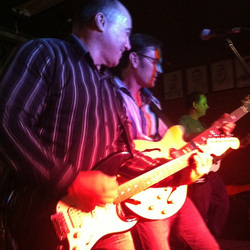 April 24, 8:00pm The Hornsby Inn- Come and celebrate Pete's birthday with the Band! February 16th, Terrigal Beach- A birthday party on the beach- what could be more fun? February 9, Lithgow Fairgrounds- We are playing a huge birthday bash in Lithgow - should be a great time! January 23, 8:30 Hornsby Inn A special request performance for my Dad visiting from Canada! December 22, 8:30 BIG DAY IN at the Hornsby Inn. Should be a great night of bands! Please come out for a good time.